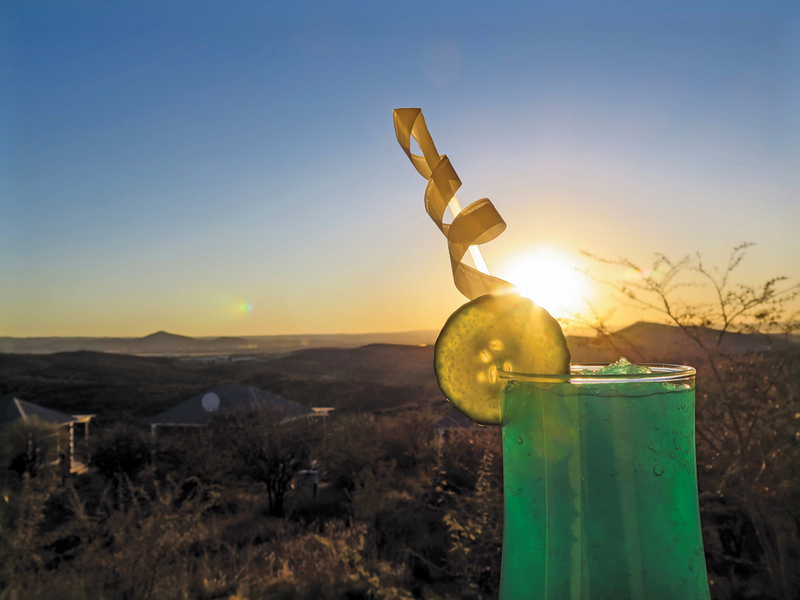 It’s the ultimate castle on the hill – a special setting to experience a monument from Namibia’s history and sip a drink in a luxurious fashion. Heinitzburg is one of a trio of castles built on what is today called Luxury Hill (yes, a very creative name), a strategic placement that allowed the inhabitants an unblocked view of the surroundings. Lounging on the hotel’s terrace with the stone structure of the castle at your back, it is easy to imagine that you, too, are royalty. Sundowners at Hotel Heinitzburg, Marcii Goosen. A great local after-work spot to meet up with friends for a glass from an expert selection on the wine menu. While the Wine Bar is located in a colonial-era building, a collection of photographs by famous Namibian photographer Tony Figueira lends a modern touch to the interior. Even though Windhoek is quite foliage friendly in comparison to many other concrete jungles, sometimes you just need to get out of town and a little closer to nature. What’s great about River Crossing is that it’s only a few minutes drive out on the way to the international airport. 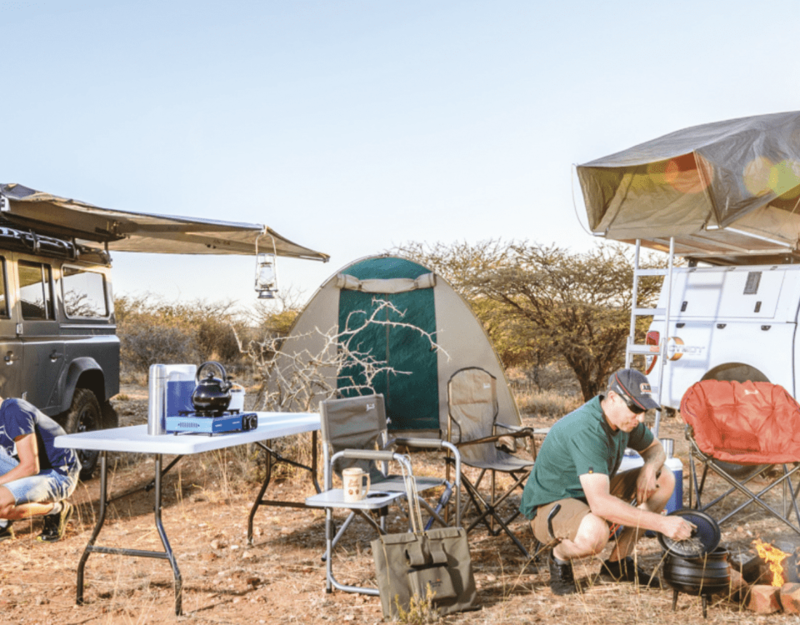 Seated out on the deck, it is easy to feel like you are out in the Namibian bush, with the golden grass around you in winter, or the lime green lushness stretched out in summer. Enjoy the deep colours of the sunset as the lights of the city start to twinkle in the distance. The relatively new Kleine Kuppe neighbourhood is very quickly becoming the home of Windhoek’s young professionals. The area already has a big draw-card for locals in the form of the Grove Mall of Namibia, a substantial shopping centre by Namibian standards. Newscafé is one of the restaurants located in the mall, but what put it on this list, other than the delightfully colourful cocktail menu, is the fact that from your seat at an outside table, one has the perfect perch for Windhoek’s golden sunsets. There are people who cannot resist an airport or harbour, and maybe it has something to do with the possibility of travel or the persistent action on an airport. Luckily, you don’t need a boarding pass to have a premium coffee at Sky Lounge and Café, located on the top floor of Eros Airport’s terminal building. It may be more of a daytime destination, but the coffee is above par and watching the rhythms of the airport as planes take off and land is quite peaceful. The well-known Cape Town Fish Market (or CTFM for short) franchise now has a strong foothold in Windhoek, where locals flock to the restaurant for its delicious offering of fresh fish and seafood. A skip and a jump down from the reception of the Am Weinberg Boutique Hotel, and located in the similarly named estate, CTFM shares in the sophisticated atmosphere as well as the mountain views. Choose from the selection of wine, beer and spirits or order one of their speciality gin cocktails. 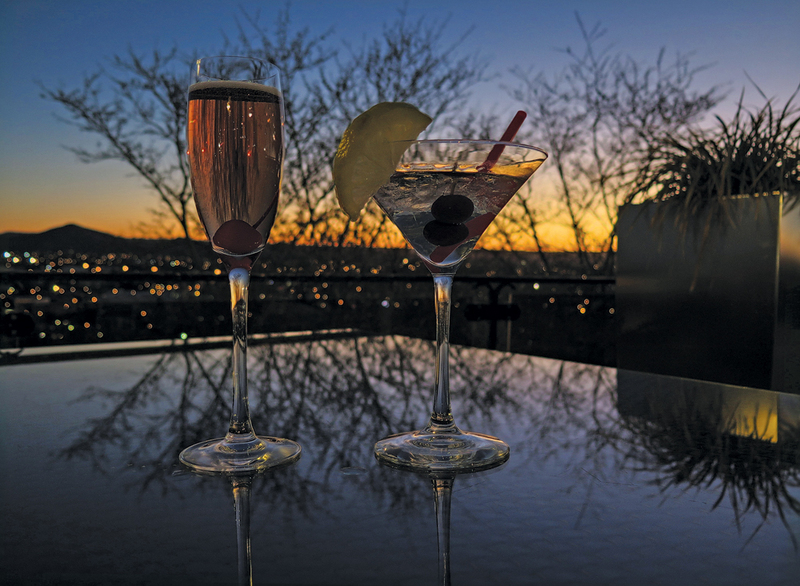 Skybar at the Hilton Hotel on Independence Avenue is very likely the only establishment in the capital where you can watch the sunset and the moon rise from the same seat. From your perch up high, it is easy to observe downtown Windhoek’s main artery slowing down as the sun dips when the centre of town takes on a new character altogether. 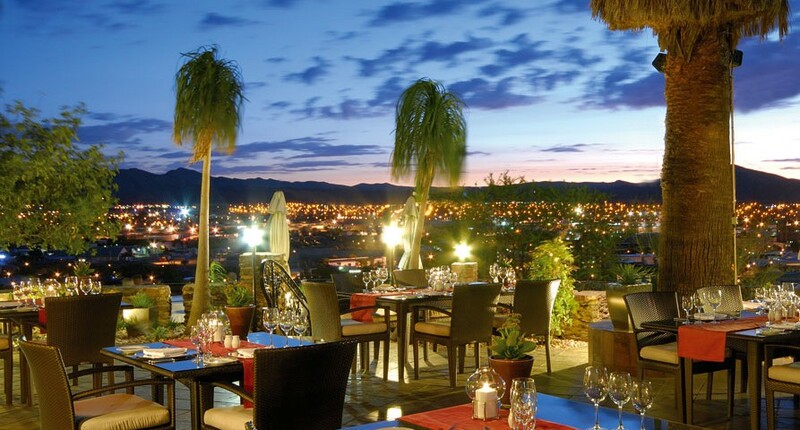 Located on the top floor patio of the utterly classy Am Weinberg Boutique Hotel, the Am Weinberg Sky Lounge is an intimate setting that looks out over the mountains of Ludwigsdorf in the quieter suburb of Windhoek. The hotel is located in a historical building, a beautifully restored house that sat among the vineyards spread out along the slope for many years, before winemaking here came to an end in the previous century.